The term “grey market” implies that it is a kind of unofficial market. All transactions in an IPO grey market are done in cash and this market is not regulated by SEBI or other relevant governing bodies. 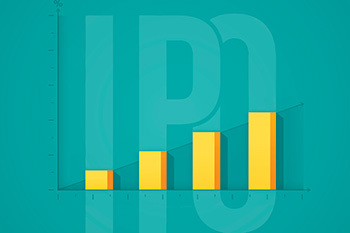 An IPO grey market is an OTC (over-the-counter) market where stocks and IPO applications are bought and sold even before they are available on stock exchanges. Chances are you’ve probably heard your broker say “grey market premium” or “grey market discount”. In this article, we explain these terms along with a couple of illustrations. The term “grey market” implies that it is a kind of unofficial market. All transactions in an IPO grey market are done in cash and this market is not regulated by SEBI or other relevant governing bodies. Transactions in an IPO grey market are based on utmost trust but are neither backed by stockbrokers nor SEBI. One must understand that grey markets don't have any official regulations and trades are generally conducted within a small group of trusted people. You should be aware of two basic terms in the grey market i.e. premium and kostak. Grey market price or grey market premium refers to the premium amount at which shares and IPO applications are bought and sold before they are available on the stock exchanges. Demand and supply heavily influence grey market premium, which is either positive or negative. This means that buyers are ready to buy the shares of X Ltd for Rs350 (200+150). This implies that sellers are ready to sell the shares of Y Ltd for (350-25) = Rs325. IPO applications are traded on the grey market for a certain price. This is called the “kostak price”. Kostak price is influenced by many factors, but supply and demand play a major role too. The kostak price of an IPO application basically indicates the profit you will make if you sell your IPO application. If shares get allotted, they will be owned by the buyer. However, if the stocks don’t get allotted, there is no refund. Kostak price is almost on its way out these days, looking at how oversubscribed some IPOs were. The possibility of actual allotment of shares is about 50%. Quite a few people have managed to make a quick buck through IPO grey markets. However, one must realize that this is an illegal activity. All transactions are done using black-money. Before engaging in such activities, make sure that you have accurately calculated the short-term capital gains tax you might have to pay. Sometimes, this drives profits to negligible amounts!